...our new location! 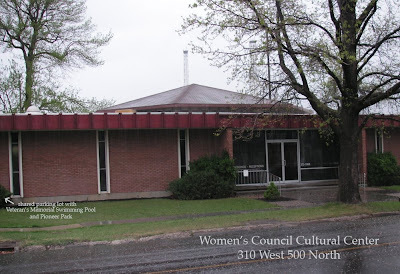 This spring the Beehive Bazaar and After Party will be held at the Women's Council Cultural Center located at 310 West 500 North in Provo. Directly adjacent to- and sharing a parking lot with the Veteran's Memorial Pool and Pioneer Park. From this picture it seems we're sporting a little bit of a beehive roofline there in the middle. Sweet.